React Native is a fantastic framework that gives developers a unique opportunity to build one mobile app instead of two. The framework has a long list of third-party libraries that make it even more convenient and accelerate development. In this article, we feature the most effective and proven third-party UI libraries along with short descriptions so you can pick one without surfing the internet for hours. For your convenience, we also classify these tools according to their main purpose. An enterprise-class UI design language and React-based implementation. Ant design is set of high-quality React components out of the box which are written in TypeScript. It supports browser, server-side rendering and Electron environments, has many components and even a tutorial with Create-react-app. With 443 contributors and 24k GitHub stars it is one of the popular and actively maintained library. 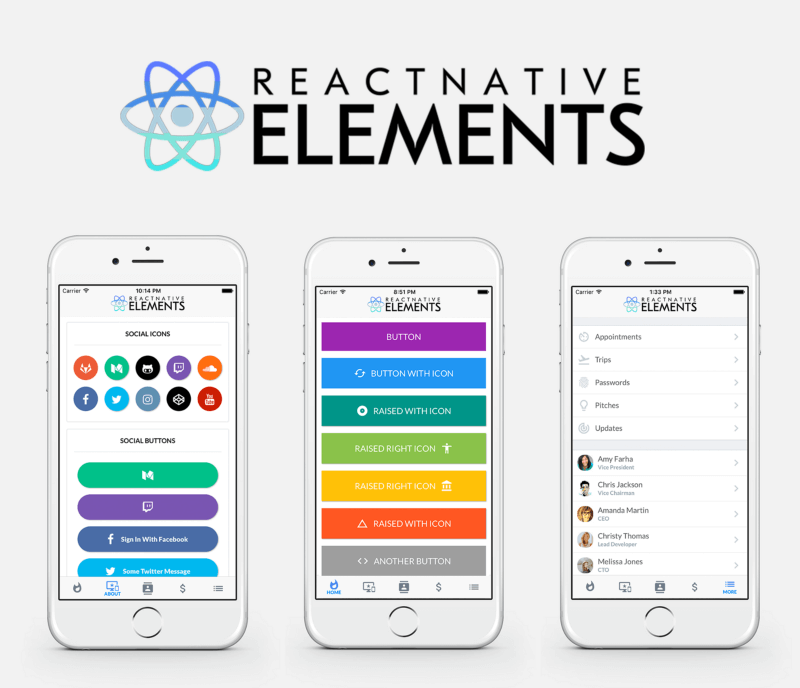 The aim of React Native Elements is to provide an all-in-one UI kit for creating apps in react native. There are many great ui components made by develops all around open source. React Native Elements takes the hassle of assembling these packages together by giving you a ready made kit with consistent api and look and feel. 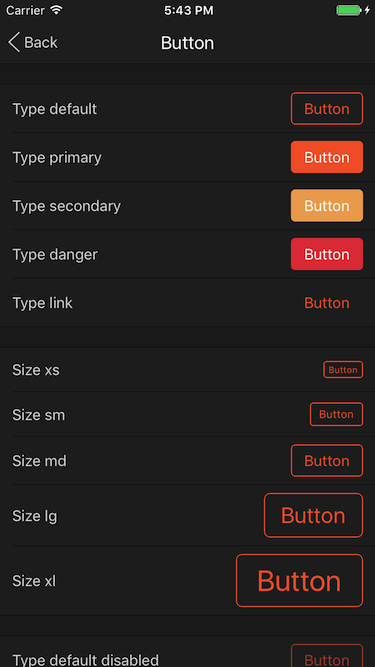 Another new kid on the block, Nachos UI provide over 30 UI components that are available to use as plug-n-play in your application. 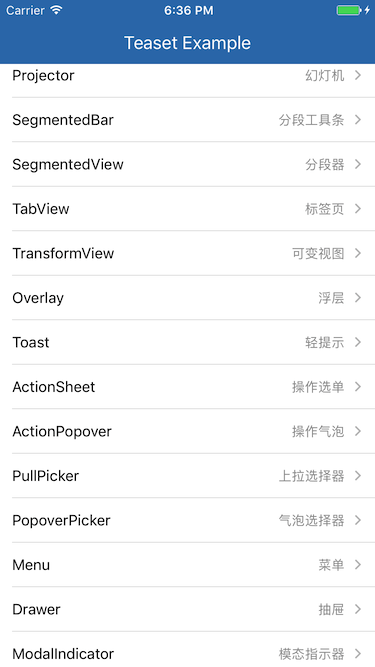 The predefining styling of these components is more suitable towards iOS-like design. It does provide some nice looking components that can be customized. This is still a work in progress and only recommended to use for prototyping. At 10k stars and over 1k forks NativeBase is a widely popular UI component library providing dozens of cross-platform components for React native. When using NativeBase, you can use any native third-party libraries out of the box and the project itself comes with a rich ecosystem around it, from useful starter-kits to customizable theme templates. Here’s a nice starter kit. Composable components in which each component has a predefined style, this open source UI toolkit helps you design professional looking solutions. These predefined components are elegant but seem a bit more biased towards iOS style guidelines. Along with components, it comes with basic Animation that is suitable for using its own UI toolkit and themes to build gorgeous React Native applications. At 1.3k stars Teaset is a UI library for react native with 20+ pure JS(ES6) components, focusing on content display and action control. Documentation is scarce (at best), but its simplicity and design captured my eye. Take a look. Check out the blog post below for a compilation of the essential tools needed for React Native development. Also check out the blog post below that lists the top React blogs, newsletters, and online communities to stay up-to-date with all that’s new in the world of React. Semantic UI is a development framework that helps create beautiful, responsive layouts using human-friendly HTML. This framework is more influenced with semantic style of HTML having meaning for every css class.Semantic UI treats words and classes as exchangeable concepts. Classes use syntax from natural language like noun/modifier relationship, plurality, word order to have a link between concepts intuitively. Semantic also uses simple phrases called behaviors that trigger functionality. With 175 contributors and 6K github stars it is one of the popular and actively maintained library. Unfortunatley react semantic does not provide any working project example but there are examples for every component which can be found here. An experimental UI Toolkit for React.js Websites and Apps with 4k stars and currently developed by the authors of Keystone.js at the Thinkmill.